Your present location:Home > Shop online > Women > Jackets & Vests > S#FA13349-J 100% COTTON WOMAN COAT JACKET,CASUAL COAT JACKET,HOODED ,Embroidery,ZIP PLACKET,FREE SHIPPING. 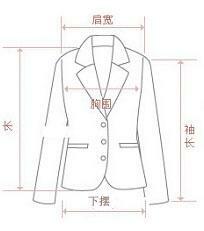 Previous Page : Hero S#HF2553 100% COTTON WOMAN JACKET,CASUAL JACKET,RIVET ,ZIP PLACKET,LAPEL NECK,FREE SHIPPING. Product Name: S#FA13349-J 100% COTTON WOMAN COAT JACKET,CASUAL COAT JACKET,HOODED ,Embroidery,ZIP PLACKET,FREE SHIPPING.